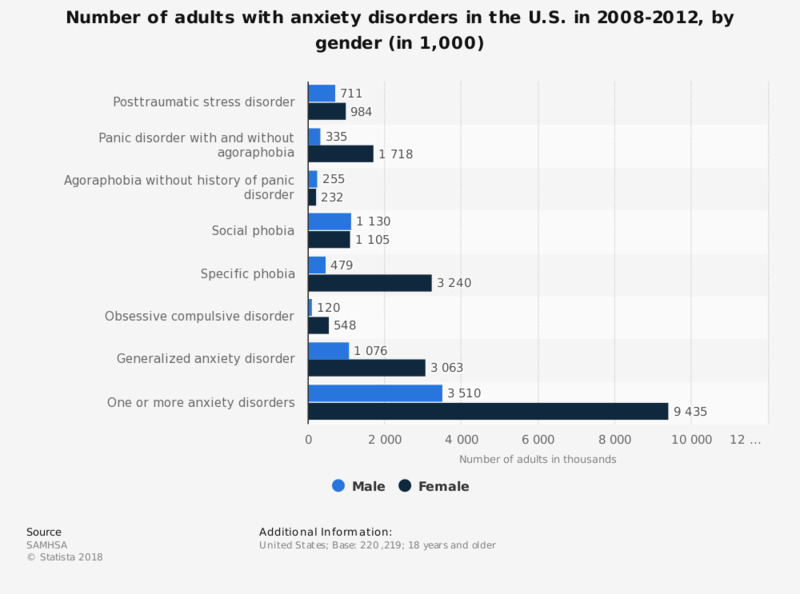 This statistic displays the number of adults with an anxiety disorder in the United States in the period 2008-2012, by gender. During this time, some 1.1 million males in the country had a generalized anxiety disorder. Disorder present within the past year. Over the last 12 months, has your work affected your mental health?